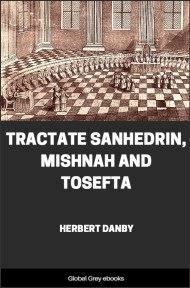 A critical investigation into Old Testament history and the composition of the Hexateuch. 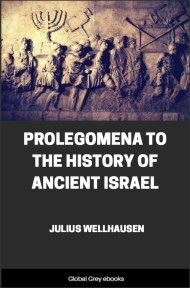 Wellhausen devised a new paradigm which explained many of the apparent inconsistencies in the Biblical texts. 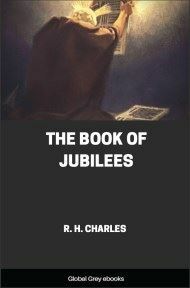 In the process, he upset many traditionalists who didn't like the concept that the early portions of the Bible were the product of four separate authors. Or that the Levitical code was redacted into the text by the priestly class at a very late date in the evolution of the Bible. As we learn from the New Testament, the Jews and the Samaritans in the days of Jesus were not agreed on the question which was the proper place of worship, but that there could be only one was taken to be as certain as the unity of God Himself. The Jews maintained that place to be the temple at Jerusalem, and when it was destroyed they ceased to sacrifice. But this oneness of the sanctuary in Israel was not originally recognised either in fact or in law; it was a slow growth of time. With the help of the Old Testament we are still quite able to trace the process. In doing so, it is possible to distinguish several stages of development. 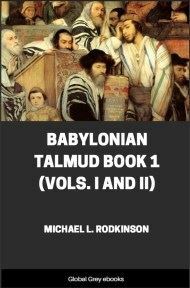 We shall accordingly proceed to inquire whether the three constituent parts of the Pentateuch give tokens of any relationship to one or other of these; whether and how they fall in with the course of the historical development which we are able to follow by the aid of the historical and prophetic books from the period of the Judges onwards. 1. For the earliest period of the history of Israel, all that precedes the building of the temple, not a trace can be found of any sanctuary of exclusive legitimacy. In the Books of Judges and Samuel hardly a place is mentioned at which we have not at least casual mention of an altar and of sacrifice. In great measure this multiplicity of sanctuaries was part of the heritage taken over from the Canaanites by the Hebrews; as they appropriated the towns and the culture generally of the previous inhabitants, so also did they take possession of their sacred places. The system of high places (Bamoth), with all the apparatus thereto belonging, is certainly Canaanite originally (Deut. xii. 2, 30; Num. xxxiii. 52; Exod. xxxiv. 12 seq. ), but afterwards is of quite general occurrence among the Hebrews. At Shechem and Gibeon the transition takes place almost in the full light of history; some other old-Israelite places of worship, certain of which are afterwards represented as Levitical towns, betray their origin by their names at least, e.g., Bethshemesh or Ir Heres (Sun-town), and Ashtaroth Karnaim (the two-horned Astarte). In the popular recollection, also, the memory of the fact that many of the most prominent sacrificial seats were already in existence at the date of the immigration continues to survive. 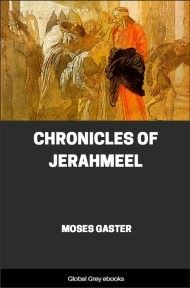 Shechem, Bethel, Beersheba, figure in Genesis as instituted by the patriarchs; other equally important holy sites, not so. The reason for the distinction can only lie in a consciousness of the more recent origin of the latter; those of the one class had been found by the people when they came, those of the other category they had themselves established. For of course, if the Hebrews did not hesitate to appropriate to themselves the old holy places of the country, neither did they feel any difficulty in instituting new ones. In Gilgal and Shiloh, in the fixed camps where, in the first instance, they had found a permanent foothold in Palestine proper, there forthwith arose important centres of worship; so likewise in other places of political importance, even in such as only temporarily come into prominence, as Ophrah, Ramah, and Nob near Gibeah. And, apart from the greater cities with their more or less regular religious service, it is perfectly permissible to erect an altar extempore, and offer sacrifice wherever an occasion presents itself. When, after the battle of Michmash, the people, tired and hungry, fell upon the cattle they had taken, and began to devour the flesh with the blood (that is, without pouring out the blood on the altar), Saul caused a great stone to be erected, and ordered that every man should slaughter his ox or his sheep there. This was the first altar which Saul erected to Jehovah, adds the narrator, certainly not as a reproach, nor even to signalise his conduct as anything surprising or exceptional. 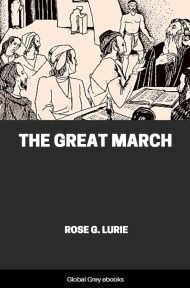 The instance is all the more instructive, because it shows how the prohibition to eat flesh without rendering the blood back to God at a time when the people did not live crowded together within a quite limited area necessarily presupposed liberty to sacrifice anywhere—or to slaughter anywhere; for originally the two words are absolutely synonymous. It need not be said that the sacrificial seats (even when the improvised ones are left out of account) were not all alike in the regard in which they were held, or in the frequency with which they were resorted to. Besides purely local ones, there were others to which pilgrimages were made from far and near. Towards the close of the period of the judges, Shiloh appears to have acquired an importance that perhaps extended even beyond the limits of the tribe of Joseph. By a later age the temple there was even regarded as the prototype of the temple of Solomon, that is, as the one legitimate place of worship to which Jehovah had made a grant of all the burnt-offerings of the children of Israel (Jer. vii. 12; 1 Sam. ii. 27-36). But, in point-of fact, if a prosperous man of Ephraim or Benjamin made a pilgrimage to the joyful festival at Shiloh at the turn of the year, the reason for his doing so was not that he could have had no opportunity at his home in Ramah or Gibeah for eating and drinking before the Lord. Any strict centralisation is for that period inconceivable, alike in the religious as in every other sphere. This is seen even in the circumstance that the destruction of the temple of Shiloh, the priesthood of which we find officiating at Nob a little later, did not exercise the smallest modifying influence upon the character and position of the cultus; Shiloh disappears quietly from the scene, and is not mentioned again until we learn from Jeremiah that at least from the time when Solomon's temple was founded its temple lay in ruins.